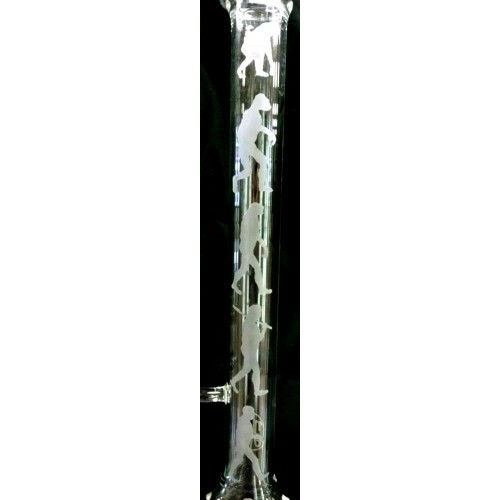 This one of a kind collectors tube by Hops is a must!! On sale now!!! This pipe stands at almost 2 ft high! The inline is double encased so "you can pack it with snow" as I remember Hops saying! The encasement is 12 inches in length with the inline running about 6 ". It has the evolution sandblasted design going up the tube. I have discovered a little imperfection so the pipe has been reduced to half price!! Consider this one of a kind for your collection!!!! Hops Blasted Evolution design. Inline, reinforced stemless. 18 MIl. Hops Lay Back Water pipe with inline Diffuser. If you are a collector of Steve Hops Gla..
Inline bubbler by Hops Glass. 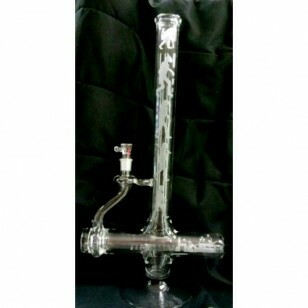 The inline perc is great at giving a lot of diffusion using less..
Hops Inline with Etched Detail.